Radiology plays a critical role in accurate diagnosis and monitoring treatment. Radiologists are able to keep up-to-date with cutting edge research with radiology cme courses. Here is what is in store for the future of radiology in healthcare. 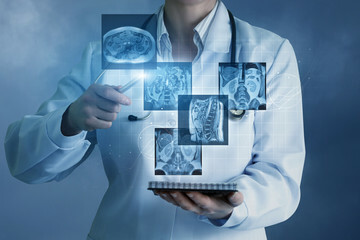 The approaches to imaging along with other advances in diagnostic tools of medicine are allowing noteworthy changes in the design of clinical trials. Phase one of a clinical trial is generally developed to evaluate the safety and resilience of the amount of dosage to be administered in phase two and three trials. With target imaging, it has the potential to establish the relevant dose and choose the appropriate treatment to prevent toxic doses and high costs. The enhanced clarity of images and tissue differentiation has drastically increased the scope of diagnostic information and the demonstration of pathology without the necessity to conduct invasive tissue sampling. Radiology CME gives radiologists a greater understanding of the new technological advances. The integration of artificial intelligence in human analysis has excellent potential to heighten consistency with image analysis and decrease errors. The analysis of 4D images of the heart can be simplified by automated motion correction and fractal analysis. It has been shown that artificial neural networks are as accurate as radiologists. Any medical professional who is part of the care team needs access. When the healthcare team has access to images, the results are available faster. Patients will also be more content by not having to be subjected to unnecessary procedures. Additionally, the cost of a duplicate procedure is avoided. Cinematic rendering is a technology that combines 3D CT with volumetric visualization along with other computer-generated imagery technology. This helps medical professionals in diagnosing conditions, handling surgery, and arranging treatment. With cinematic rendering, doctors are able to see more texture of the anatomy. If you would like to learn more about the advances in radiology, contact AuntMinnieCME.